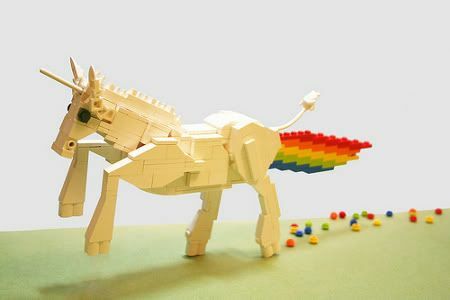 LEGOs blocks. We all know them. We all probably have a little bit of a love/hate relationship going on with them. They may have been a childhood favorite or that scary item that goes bump in the night when you step the wrong way on one and go flailing about. 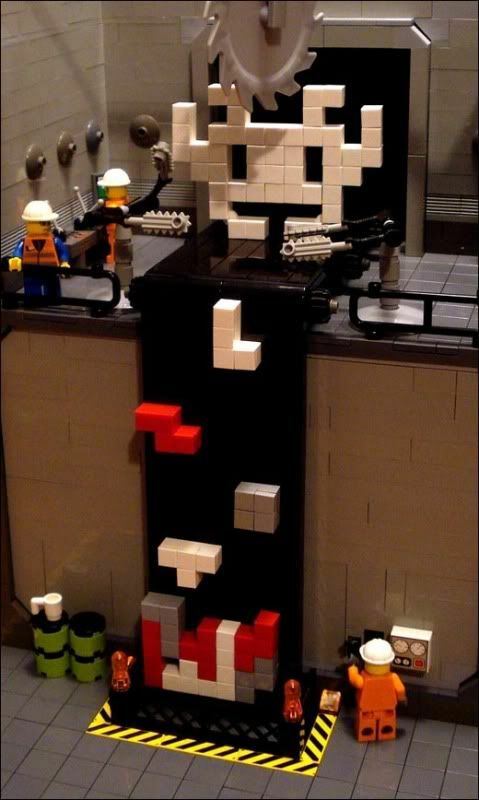 Either way, some people really take Legos to new heights. These aren't the "top 10 of all time" but more like the "top 10 I've run across over the last few months." 1. 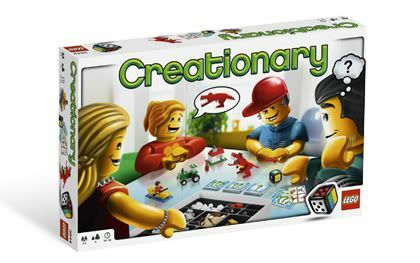 Creationary board game (Thanks khorre!) - A family fun game of many different skill levels where you create a topical creation (vehicle, building, nature, or things, depending on how the dice rolls). Everybody else then tries to guess what you're building. Adjust the rules to vary game play even more. 2. The dead tauntaun scene from Star Wars recreated into a spoof with LEGOs. 3. Where Tetris pieces come from. You've always wondered, right? 4. Futurama's New York or Lego-town? More up close pictures on the site. 5. Unicorn. And yes, that rainbow is what you think it is. If you don't understand, then do some googling, hehe. 6. The Fastest and Funniest LEGO Star Wars Story. Yeah, two Star Wars videos. What is it with people using LEGOs for that movie?? 7. I LEGO N.Y. Yep, a whole book about LEGOing New York. "Crawler town roams the barren wastes of a post steam-punk world after cataclysmic climate change do to excessive coal use. Several such cities exist but Crawler town is the most popular due to the Aero 500 hydrogen fuel cell Air races that are held. Many people travel the wastes to Crawler town for vacation and to enjoy rare luxuries like Pizza, fresh vegetables and Beer. Travelling the wastes in search of minerals and aquifers ( vital for survival) the mobility of the city keeps it away from the vicious sand storms of the wastes." 9. LEGO Big Mac. Would you like fries with that? 10. LEGO Boombox. Yes, it works and yes, those peps up top work as volume and tuning controls. 80 bucks and it's yours. Or you could go with the mp3 player instead. Ten not enough? Want more? Check out lets-brick.com. The creations there are way more spectacular than anything I posted here. Lots and lots of contests and submissions that produce simply amazing works of art. Too Cool! 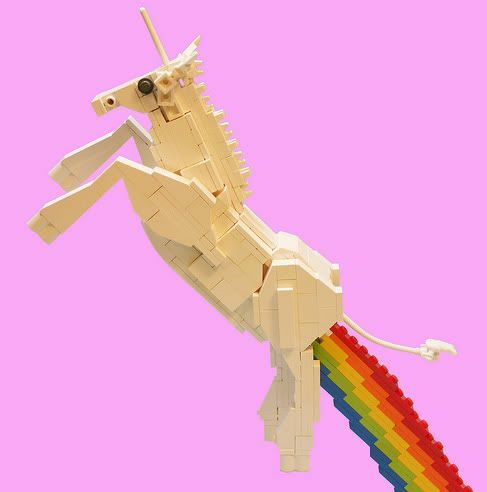 i have always been a big fan of Lego's!